Once a week for six weeks I’ll be coming to you first via Facebook live. I love this format for delivering these lessons, as it will allow a direct line straight to me in real time. 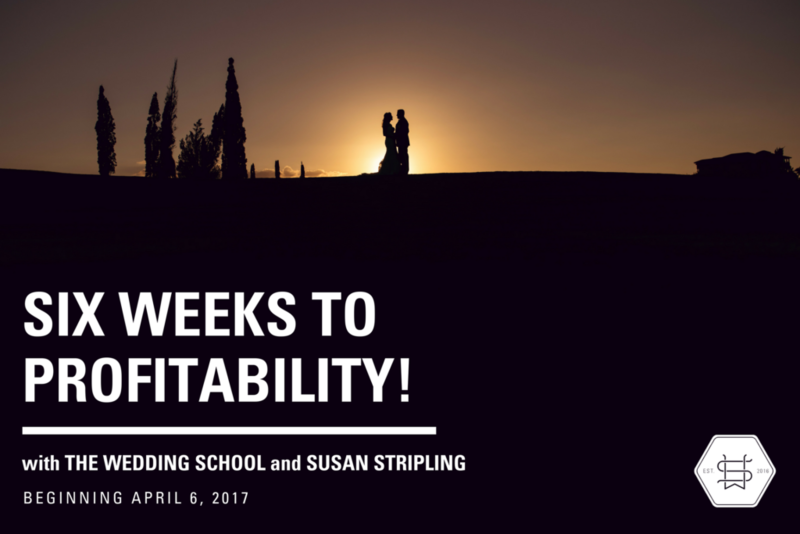 One thing that is super crucial to me is the ability for Wedding School members to ask me questions and get feedback, and Facebook live allows us to do just that! After each Facebook live lesson, the video will be uploaded to our Learning Library. This means that you will be able to re-visit each lesson as often as you’d like, watching on-demand whenever you’d like to experience it again. I’m ready! How do I join you? See you on April 6 – and for five weeks after that! This six week course kicks off on April 6th at 3pm EST. I cannot wait to see you there!